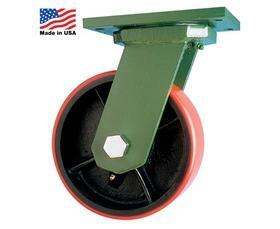 Built from heavy plate steel with hardened bearings and sealed raceways for extra heavy load capacities. 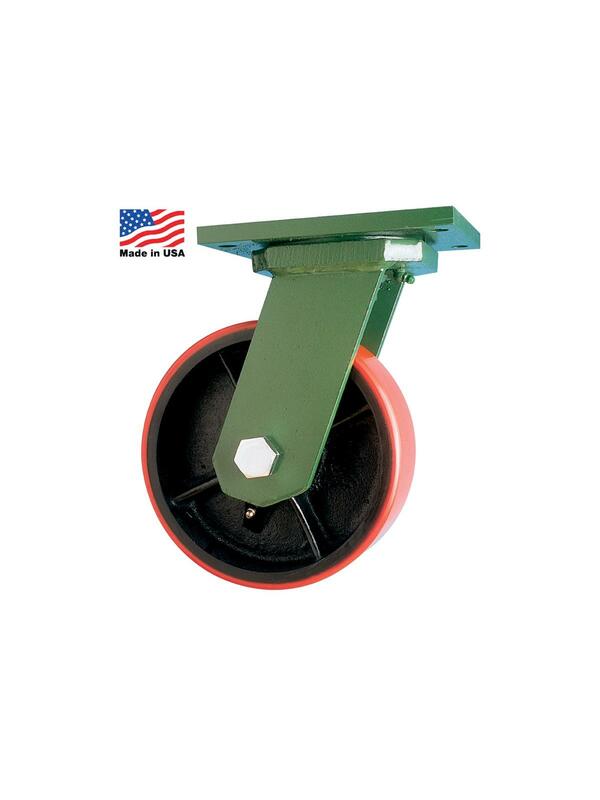 Equipped with a hardened 1" king bolt welded to the top plate… won't stretch or break loose. Features precision tapered thrust bearing with dust seal in lower raceway. Replaceable bolt axles and hardened steel bushings. Bearing seal keeps dirt out, while greasing purges old lube. Green epoxy powder coat finish. FOB Shipping Point. Top plate size: 6 x 7 1/4". Bolt holes spacing: 4 1/8" x 6 1/8". 1/2" bolt hole size.